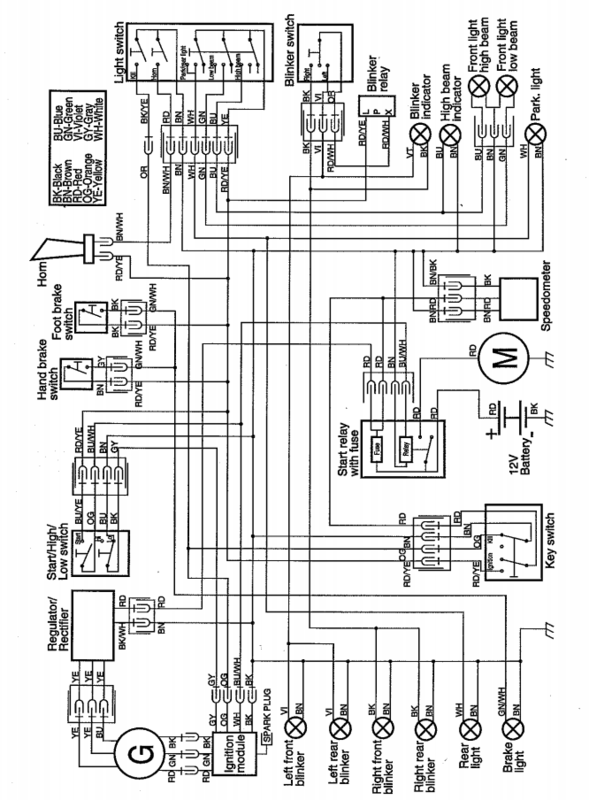 Ignition module wiring, where to? I'm currently swapping the engine in my FE450 -06' to a 550 -03'. As you probably know they are operating on different ignition systems and I am trying to do the necessary swaps in the wiring for this to work (switching to the old models ignition module and regulator). Please keep us up to date how it worked out! EDIT: I read you answer and it looks good but I have 2 questions. 1. Can I use the newer carburetor with the old engine (without the TPS connected of course). And if so, which one would you recommend using. According to the previous owner, who never used the engine, the pre-previous owner put in more aggressive cams. I think my Keihin is 1 mm larger than the Dellorto and the threads where between the carb and cable are gone. 2. "[cdi] orange --> yellow/blue wire (stop/kill switch), connected with your key switch (your 2006 harness)" What if I don't have a keyswitch? Last edited by TheTaXUS; June 1st, 2018 at 07:02 AM. Of course you can use the newer carb with the old engine. Usually the people mount a (mostly selfmade) billet aluminium adapter where the old carburettor rubber mount is connected. Then they connect the newer carb with the "newer" rubber to the billet adapter. I did not feel my engine is having hick-ups with the Dellorto - but it's sensitive on the throttle ... but that's why you bought a Husaberg and not a Suzuki DR, right? The orange wire shortcuts the ignition spark to ground. You need that to kill the engine. You surely have a kill switch, which somehow is connected to that cable. If you don't have a key/key lock for the bike, than the bike is "always on" (can be started any time). So if you don't need the key-lock, connect orange to the kill switch only and you're fine. Thought I'd update you on my current situation. I have wired all the electrics. Blinker works but I don't have any spark and the starter relay just gives a click when I press the starter button. From my googling the spark issue might be a ground somewhere that's shorting the circuit and the starter relay might be a bad ground. Haven't had time to troubleshoot properly but I'll go ham with the multimeter in the coming days. probably the way you have the wires in the starter relay. you need to look at these. I have a diagram or two. drop me an email. as for the alloy inlet stub. I have never seen it written here that anyone makes their own inlet stub. I sell them. but also the original inlet rubber circa 2000-2003 is still about in used condition. both the keihin and the dell orto can go in this rubber. you remove 5mm from the rubber mouth for the keihin carb and then the lip and the recess inside the rubber fit nicely. 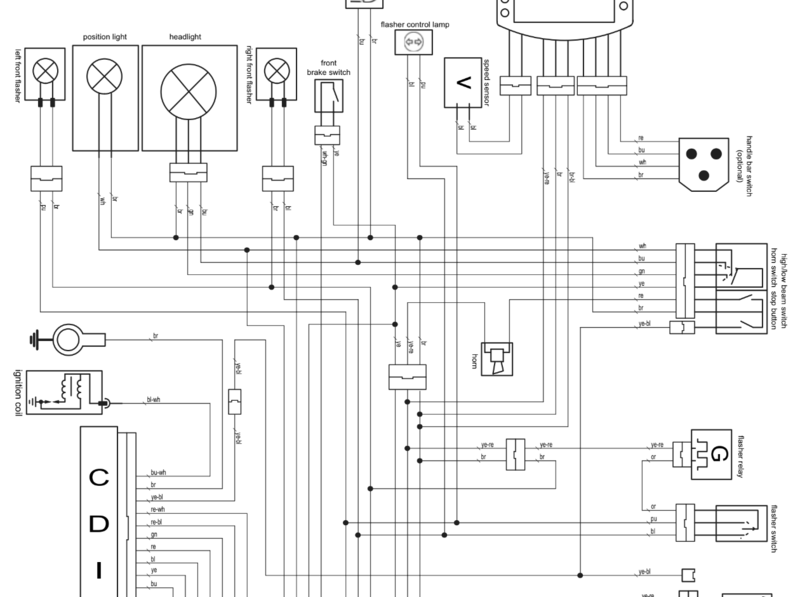 I've looked at your diagrams and they don't correspond to my wiring. Also attached a picture of how it looks. 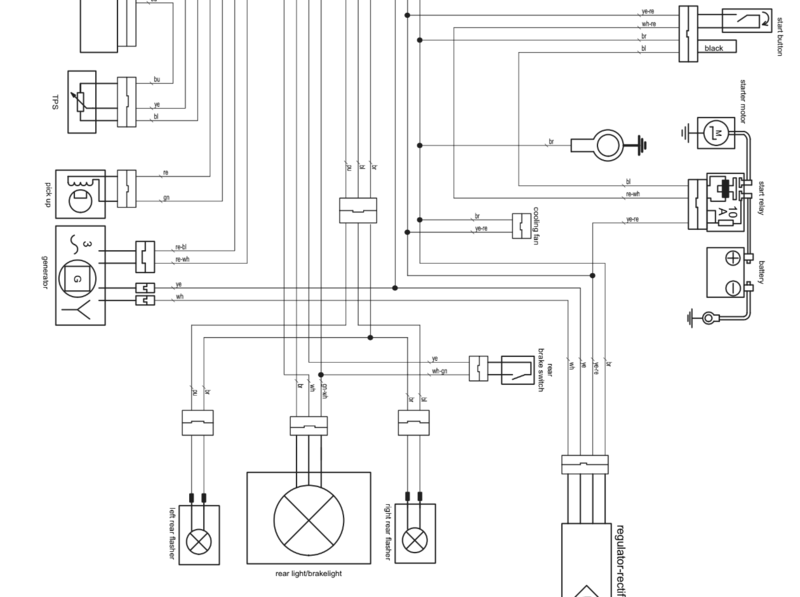 I haven't changed the solenoid so it is wired after the diagram above. I also tested the battery and the voltage drops to less than 2 volts when I press the start button, guess it's bad. Charged it to higher than 12 volts a couple of days ago and now it reads around 11. Will the bike start with kickstart even with a dead battery (if I manage to get spark of course)?? but you have no earth from the 4 pin connector? it is a 3-pin connector. so where is your earth?